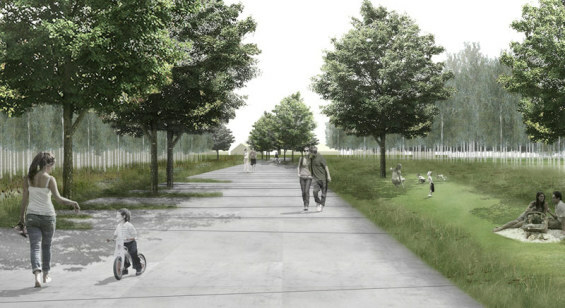 In early 2013 urban planners AG stadsplanning organised a competition to carry out the complete design assignment and related services as part of the development of the Groot Schijn Park in Antwerp. BUUR-HOSPER-BULK – in cooperation with ARA – combined forces for this. 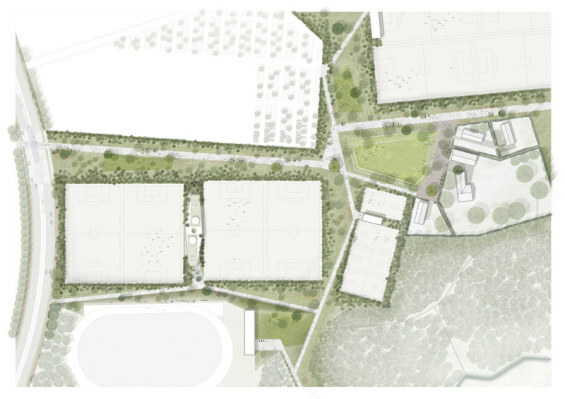 The assignment includes the development of the rooms for the sports pitches (football and korfball), including the path structure and the design of a club room. The level of ambition for the development of the landscape park is high. 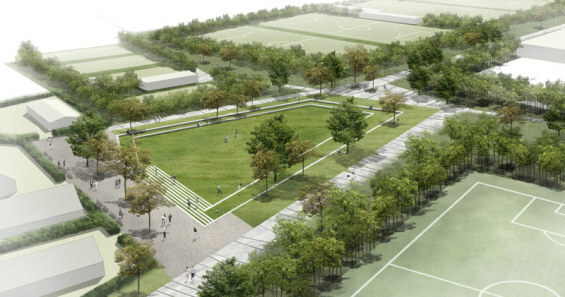 The Ruggeveld-Boterlaar-Silzburg master plan forms the reference framework for this. The design proposal focuses on the joints and rooms within the master plan. The joints are the functional carriers, the outlines along which the spatial planning and imagination takes place and the most constant factor in the park. Within this framework activities can be entered that may be variable over time. Secondly the structure is the image carrier. The structure and the image of the joints therefore play a great part in the experience of the park. The sports activities again form the rooms, hollowed out empty spaces between the joints. The rooms are given their own scale and architectural dimension. A multitude of trunks with high crowns create green frameworks. The east-west route in the extension of the park Rivierenhof forms the backbone of the complex. A hierarchy is introduced, in which the secondary path network runs in a zigzag. Entrance plazas open up the park programmes and the club rooms. 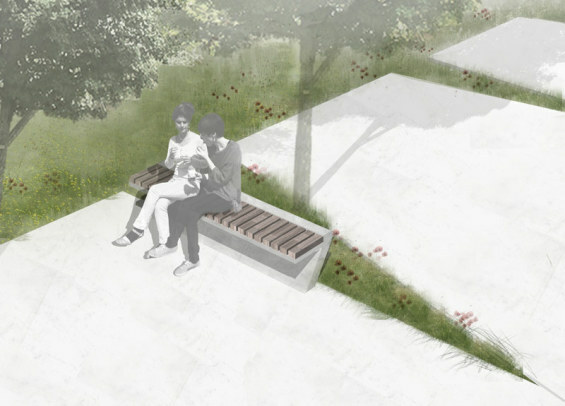 The concept of the central plaza is adapted to form a green park plaza; a sunken field gives the place the necessary centrality and theatricality without disturbing the image of the joints. In winter the ‘bowl’ becomes an ice rink. 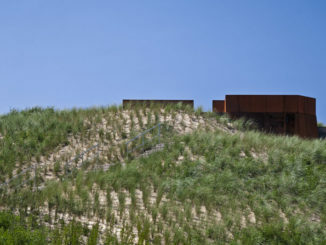 The park plaza works on different levels of scale: it seeks to connect both the ‘urban’ joints and the ‘rural’ cluster of the farm Master Schmidt.